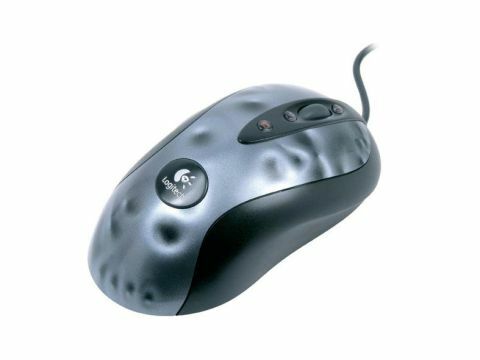 Logitech mice are becoming the epitome of the 'if it ain't broke' philosophy towards hardware design. This must be the 422nd mouse we've seen with the same smooth, curved chassis, and while we're not sure that Logitech has necessarily solved ergonomics forever, it does feel comfy for all but the most southern of paws. There isn't quite the pant-wetting level of finery present in the mighty G5 here, but this is still a potent pointer for all kinds of gaming, with buttons to control the three on-the-fly sensitivity settings next to the mousewheel and a fairly nifty 1,600dpi native sensor-res, should you need your pointer to fly like Superman after a can of Red Bull.